Sometimes I think the best part of my day is when both girls are in bed for the night. Then, for the briefest of shimmering moments, I am allowed to sit still, quiet, and alone with my husband. After the house has been restored to something remotely resembling tidy – dishes done and laundry folded – I creep in to check. They look so sweet when they sleep. So good. These slumbering angels are so obviously incapable of creating the mayhem they do during their waking hours. I gaze down at their innocent little faces, seeing them so still and peaceful and blissfully quiet. Standing silently over them, I have a moment to cherish all that they are and take a breath infused with my eternal love for these two tiny people that God has given to me. And I’m sure that this must be my favorite time of day. Soon after, I retire to my own bed and join them in their slumber. 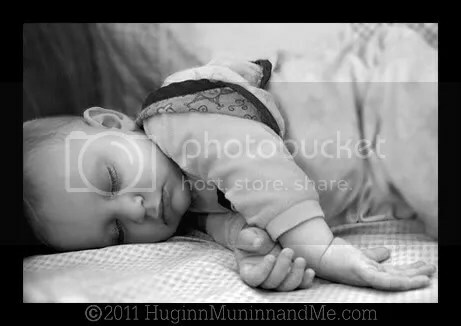 My last waking thought as I slide silently off into much-needed sleep is that this is the best part of my day. . .
Ro wakes with the sun these days, and for that I thank her. Five or six AM is ever so much nicer than two or four. Midnight feedings have faded out, and she wakes happily. Through the monitor I can hear her smile. Sing-song babbles and joyful squeals show her delight in welcoming another new day. 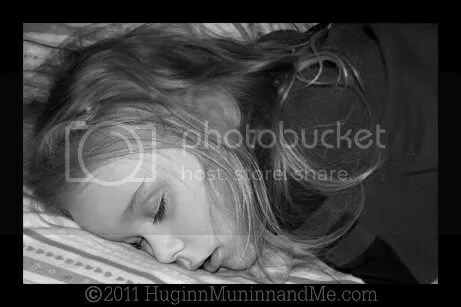 I am a bit slower and sadder about rising, and try to linger on in my bed, snuggled down and almost-dozing, grasping at the elusive tendrils of sleep for just a moment longer. As long as she’s chirping happily, I can hit my imaginary snooze button a time or two. And as I lay there listening to her bliss, I smile to myself, and I think that this must be the best part of the day. Then a thump followed by pitter-patters lets me know that big sister is awake earlier than usual. She doesn’t have crib rails to confine her, and will come to rouse me from my sleepy nest. Sighing, I roll over and wait for the inevitable, still not quite ready to face the fun-filled day I’ve planned for them. But then sometimes. . . I hear a door that isn’t mine open and the jubilant shriek that is the greeting of the younger to the older. 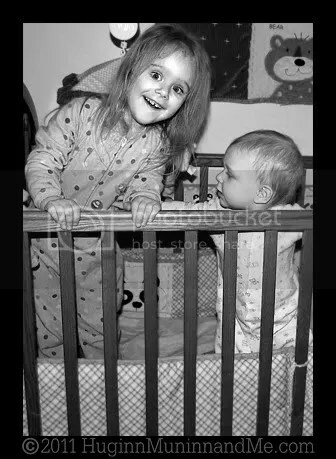 Creaking bed springs and wild giggling follow as big sister returns to the place that was hers not so long ago. The crib that now belongs to the little one has room enough for two, it seems. And their laughter mingles as it fills the air. I struggle to push away all the worries that come to mind (images of baby’s broken limbs caused by bouncing elder sisters) as giggles and delighted squeaks drift up to me. 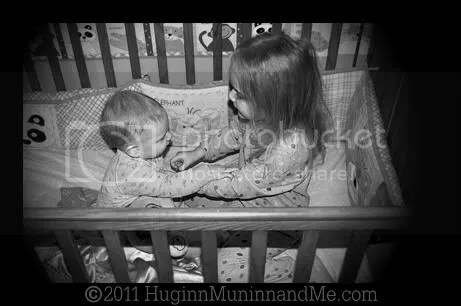 Now wide awake, I sit still and listen to them in their merriment, playing together as only sisters know how. Like a fly on the wall, I eavesdrop as they steal a few rare moments together in a world without adults. Their joy in each-other is contagious and I want to go down and join in their fun, but I hold back for a few minutes more, unwilling to shatter the spell of daybreak. And as I listen to the new bonds of sisterhood forming, I think this must surely be the best part. . .